Dr. Steve DiCairano did his undergraduate studies and received his bachelor of science degree at Manhattan College. He was awarded his medical degree from Bologna University School of in Medicine in Bologna, Italy and did his internship and residency training in internal medicine at St. Vincent Medical Center in Bridgeport, Connecticut. 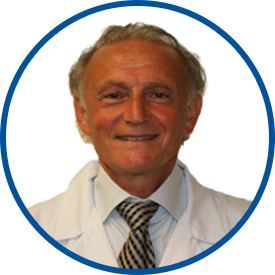 Dr. DiCairano has been in private practice since 1985 and joined Westmed Medical Group in June 2010. He is an attending physician at Lawrence Hospital Center and is a past chairman of the medical record committee at Mt. Vernon Hospital where he also served as a board member. Dr. DiCairano is fluent in Italian. I like the way patients are treated at Westmed. Dr. Di Cairano is an excellent doctor and impressed me with his knowledge and also gave me a very thorough exam. I really like him as my primary care physician. Always courteous, kind and caring. *Dr. Dicairano is a "treasure," his staff is first rate. Dr. Dicairano is so kind,caring and professional. He is a role model for all healthcare providers. Dr. DiCairano has been a blesing to me. He is genuine and also shows concern for my concerns. I couldn't ask for better physician. What I like about Dr Di Cairano is that everytime I visit him he knows my medical history inside out. He's also very empathetic towards me. He's very informed when it comes to details in medicine. I consider Dr Di Cairano to be a first-rate physician. Dr Dicairano diagnosed the problem immediately and since I needed to see a specialist he went over in person to speak with the dr and i got seen by the specialist immediately. I love Dr D. I've been a patient of his longer than his tenure at Westmed. I will follow his practice whoever he goes. Provider was thorough, reasonably clear, helpful; slightly less friendly than some other doctors, but certainly not rude or uncaring. *Dr. "D" shows exceptional professionalism, respect & is VERY knowledgeable. Great experience! Always given the attention and respect and addresses all my medical needs. DR. DI CAIRANO IS SO GENUINE-CONCERNED AND CENTERED ON YOU THE PATIENT .